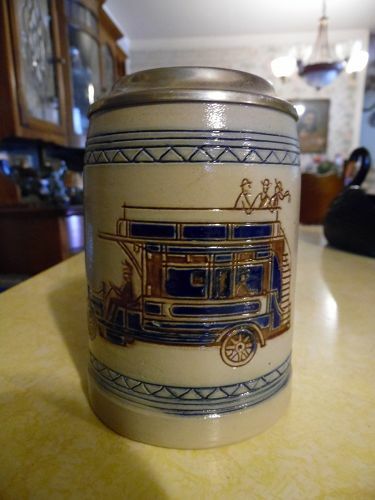 RARE Vintage Mr. BALI HAI Concave Bottom CERAMIC Mug made exclusively for Bali Hai Restaurant, Shelter Island San Diego CA. Figural native headhunter. Approx 6.50 inches tall, and no chips or cracks. Two drink straw holes in the top. Very nice condition. Original OMC (Otagiri) sticker on the bottom. 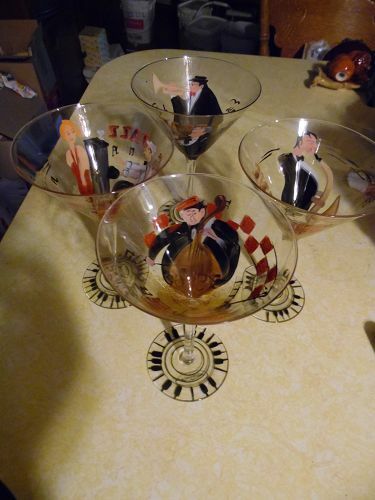 Cool bar glass with 21 different mixed drink recipes. Mix it up and drink it from this glass. 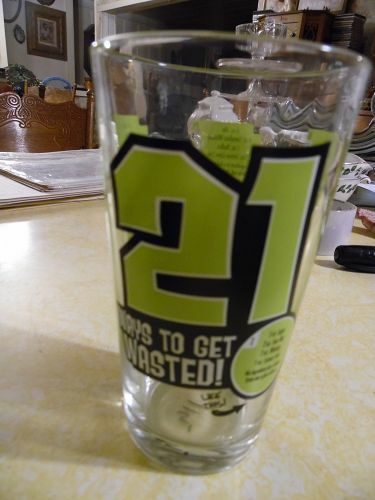 21 Ways to Get Wasted Glass with. Perfect condition and graphics are bright. 6 inches tall. 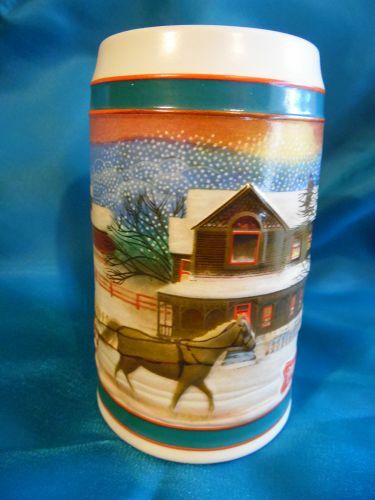 Vintage Gerz one half liter stein made from Germany. Stein is mostly ecru with bands of light gray at top and bottom. The scene is early Native Americans in a canoe with a deer. Village in the background. 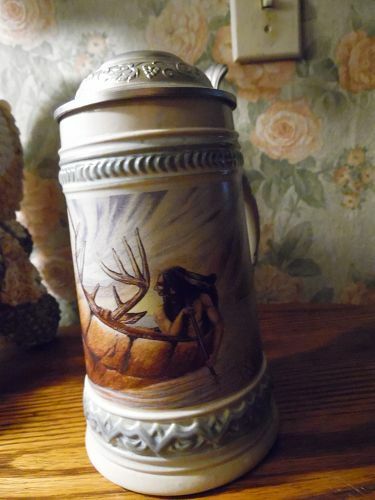 Pristine condition.7 1/2" tall Stamped on the bottom GERZ Germany and the lid is embossed with 95% Zinn [pewter/tin]. Unique gift for Dad. 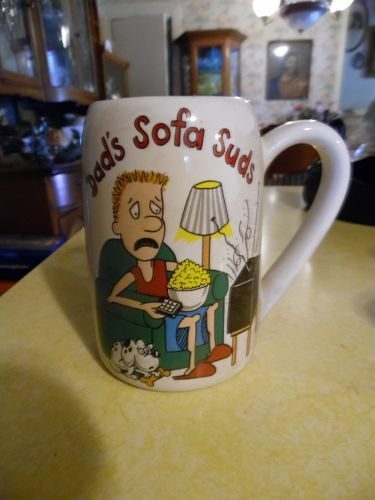 It will be his favorite mug to use when drinking his select beer. Put it in the freezer so he can have a special cold one in his special mug. Measures 5 7/8" tall with a nice roomy handle to fit Dads hands Made of a nice heavy glazed pottery. Perfect condition. 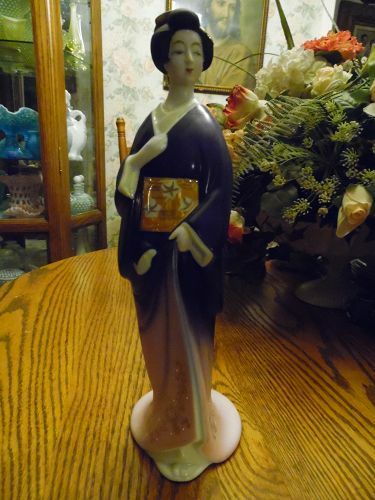 Beautiful vintage 1950's Seyei fine Porcelain JAPAN Geisha woman hand painted decanter. Measures 13" and is in pristine condition. Sash on front and back has a gold lustre finish. Fine facial detailing. Simply beautiful. 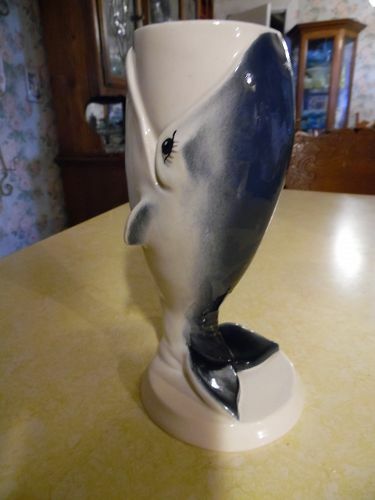 Ezra Brooks decanter (empty) - it's the Washington Orca Killer Whale, made of Heritage China, and produced in 1972. 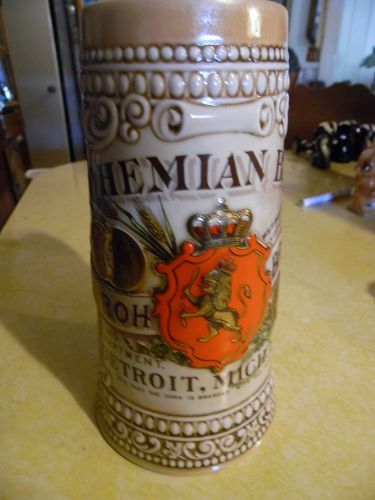 It's a heavy decanter, 10 inches wide and 8+ inches high. Empty, and in excellent condition, with no chips or cracks. Beautiful Imperlux 24% lead crystal ships decanter made in Poland. Cut crosshatch details. Perfect condition. Measures 12 3/4" to the tip of the stopper. No chips or cracks. Gorgeous decanter with original perfect stopper. Nice detailing on this nice beer stein in the Miller series of "Birth of a nation". 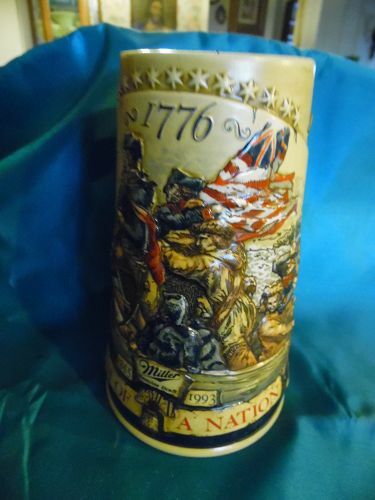 Number 3 in this series, this stein has a detailed artistry of Washington crossing the Delaware 1776. Pristine condition, and measures 7" tall. A hand numbered Miller liscenced product.Made by Ceramarte Brazil. 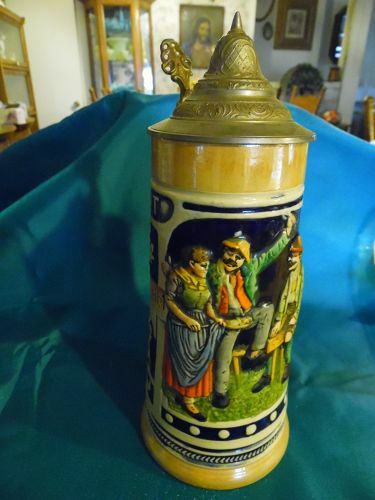 Nice Germany beer stein, Three people at a pub table and someone making a toast. Translation to english means: Cheers , Years go by The thirst remains constant, Cheers Pass the years. Perfect condition. 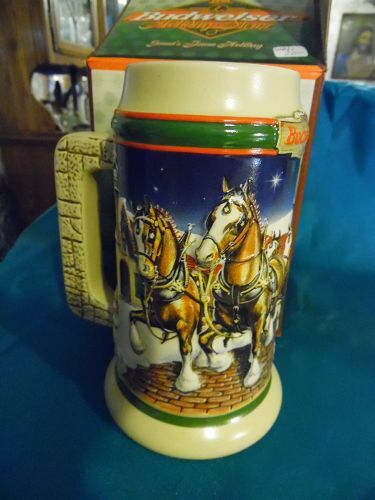 The number 1994 in pressed into the bottom of the stein also. Not sure this is the year or just an id number. Excellent condition with no damages. Measures 9" tall to the tip top of the pewter lid. 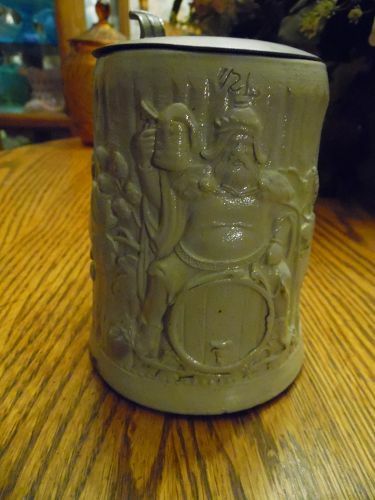 Nice heavy German pottery. 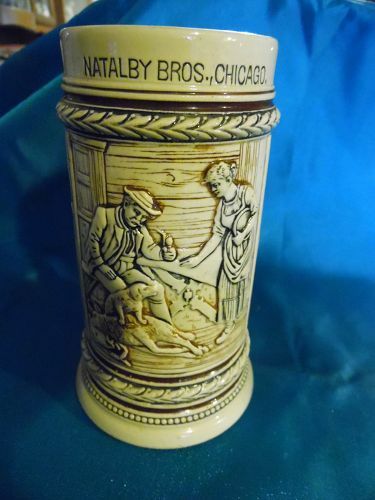 Old collectible beer stein made in Germany for Natalby Bros. Chicago Ill. Scene of a hunter and wife with deer and the hunting dog, with panel of pretty florals and leaves. 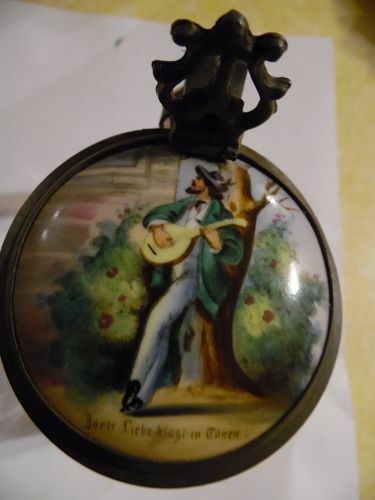 Originally came with a pewter lid. No pewter lid on this one. Measures almost 6" tall. No chips or damages.